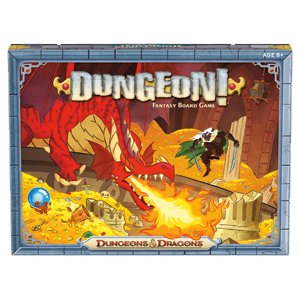 Tenkar's Tavern: I've Been Playing Dungeon with Pinky - The Six Year Old Gets It! The original Dungeon! board game (2nd or 3rd printing) was how my parents came to be ok with D&D. For that, I am forever grateful to Dave Megarry. my 5 year old makes me play D&D with her at least once a week. I have a 5yo daughter. We used miniatures with Candyland and most other board games. Dwarves roll down in Chutes and Ladders. I didn't think she'd be ready for Dungeon! but I think I'll give it a try with Mom and her this weekend. Thanks! This is the game I bought for my kid to introduce him to the hobby.